Ain’t no party like a Twitter GIF Party! While the ability to search and send GIFs in tweets and direct messages debuted in late February, Twitter decided to up the ante on March 3, 2016 with an impromptu #GIFparty. With users and companies alike dropping in to celebrate with their best GIFs, who stood out? 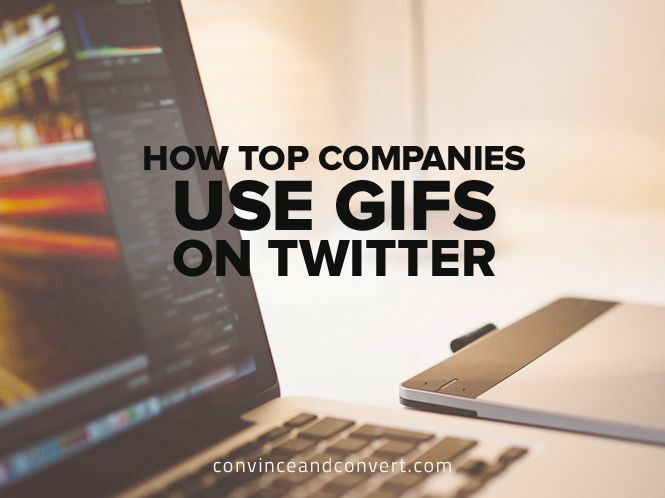 Check out these ten clever GIFs from various companies, sports teams, and more for a few helpful tips on how to incorporate GIFs as part of your Twitter engagement strategy. As #GIFParty became a trending topic on Twitter, many companies were smart enough to play along, dropping their own party-themed GIFs. With lots of great footage on file for high profile athletes, sports teams and leagues really stood out here for their ability to quickly turn around a mix of clever and funny GIFs. The Philadelphia 76ers ordered pizza. The NHL asked if cups were needed. The NFL had a little fun with the Steelers’ Antonio Brown. Companies can take a page from their playbook—literally. With GIFs now usable across multiple social media channels, consider building a library of funny and situational GIFs related to your company. (highlight to tweet) It could be a funny reaction from your CEO, footage of your products, or company mascots. The key is to use the GIF as an exclamation point that tells a quick story or conveys a relatable emotion or moment. While many brands grabbed funny pop culture type GIFs from Twitter to share, a few stood out for incorporating their products in a clever way. Intel Australia & New Zealand played off of DJ Snake and Lil John’s “Turn Down For What” by showing how a tablet goes from day to night seamlessly with the humorous hashtag #ShutDownForWhat. GoPro went for a fan favorite—cat and dog GIFs—with a cute GIF shot with a GoPro, of course. IHOP worked its best assets—pancakes—with a drool-worthy GIF that’s sure to induce hunger. These are all great examples of how to work your product or company into a GIF in a fun way. Unsure of how to create your own GIFs? Try Giphy’s GIF maker if you have YouTube, Vimeo, Vine, or video files on hand, or the app DSCO by VSCO to shoot and create your own GIFs quickly on your phone. That way, the next time you’re at a company event, shoot, or just around the office, you can seize the moment to DIY your own GIFs. GIFs offer a great way to quickly illustrate a point, statement, or quote. Whether overlaying text on the GIF or leveraging the GIF to illustrate an emotion, the medium allows for a lot of creativity. An example of this comes from Visit Florida, which made a statement about being late to the #GIFParty, albeit for a good reason. Instead of posting a funny GIF with President Obama, The White House decided to use the trending topic to raise awareness for a statement about The Affordable Care Act through a more serious GIF. It’s worth noting that throughout the #GIFParty, Twitter lead by example with a series of awesome GIFs, including this gem in response to NASA. How do you organize a space #GIFparty, @NASA? It wouldn’t be a #GIFparty without a touch of snark. Kudos to Grumpy Cat for rising to the occasion and showing us all how it’s done.